Coin of the Gepids ca. 491-518. Sirmium mint. In the name of Byzantine Emperor Anastasius I. Coin of the Gepids. Sirmium mint. Struck in the name of Justin I, ca. 518-526 CE. Obv: D N IVSTINVS P LV (first N retrograde), pearl-diademed and cuirassed bust right. Rev: VINVICTL ROMLNI, large “Theodericus” monogram across fields, cross above. The Gepids (Latin: Gepidae, Gipedae) were an East Germanic tribe. They were closely related to, or a subdivision of, the Goths. They are first recorded in 6th-century historiography as having been allied with the Goths in the invasion of Dacia in c. 260. In the 4th century, they were incorporated into the Hunnic Empire. Under their leader Ardaric, the Gepids united with other Germanic tribes and defeated the Huns at the Battle of Nedao in 454. The Gepids then founded a kingdom centered on Sirmium, known as Gepidia, which was defeated by the Lombards a century later. Remnants of the Gepids were conquered by the Avars later in the 6th century. Jordanes reports that their name comes from gepanta, an insult meaning "sluggish, stolid" (pigra). An Old English form of their name is recorded in Widsith, as Gefþ-, alongside the name of the Wends. The Gepids were the "most shadowy of all the major Germanic peoples of the migration period", according to historian Malcolm Todd. Neither Tacitus nor Ptolemy mentioned them in their detailed lists of the "barbarians", suggesting that the Gepids emerged only in the 3rd century AD. The first sporadic references to them, which were recorded in the late 3rd century, show that they lived north of the frontier of the Roman Empire. 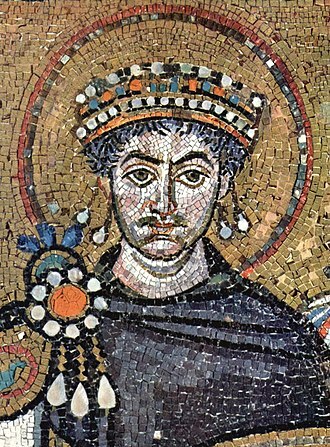 The 6th-century Byzantine writer, Procopius, listed the Gepids among the "Gothic nations", along with the Vandals, Visigoths and Goths proper, in his Wars of Justinian. According to historian Walter Goffart, Jordanes' remark shows that Byzantine scholars had invented a concept of the "Gothic nations, sharing the same language, white bodies, blond hair, and Arian form of Christianity". Should you ask how the [Goths] and Gepidae are kinsmen, I can tell you in a few words. You surely remember that in the beginning I said the Goths went forth from the bosom of the island of Scandza with Berig, their king, sailing in only three ships toward the hither shore of Ocean, namely to Gothiscandza. One of these three ships proved to be slower than the others, as is usually the case, and thus is said to have given the tribe their name, for in their language gepanta means slow. Hence it came to pass that gradually and by corruption the name Gepidae was coined for them by way of reproach. For undoubtedly they too trace their origin from the stock of the Goths, but because, as I have said, gepanta means something slow and stolid, the word Gepidae arose as a gratuitous name of reproach. Modern historians who write of the Gepids' early history tend to apply a "mixed argumentation", combining Jordanes' narration with results of archaeological research. According to Jordanes, the Gepids decided to leave "Gepedoius" during the reign of their legendary king, Fastida. They moved to the south and defeated the Burgundians. After the victory, Fastida demanded land from Ostrogotha, King of the Visigoths, because the Gepids' territory was "hemmed in by rugged mountains and dense forests". Ostrogotha refused Fastida's demand and the Gepids joined battle with the Goths "at the town of Galtis, near which the river Auha" flowed, according to Jordanes. They fought until darkness when Fastida and his Gepids withdrew from the battlefield and returned to their land. Archaeologist Kurdt Horedt writes that the battle took place east of the Carpathian Mountains after 248 and before the withdrawal of the Romans from the province of Dacia in the early 270s. On the other hand, historian István Bóna says that the two armies clashed in the former province of Dacia around 290. The Gepids invaded the Roman provinces in the Balkan Peninsula, in alliance with the Goths and other "tribes of the Scythians", in 269, but Emperor Claudius Gothicus routed them, according to the Augustan History. The same source also says that Emperor Probus, who ruled between 276 and 282, settled Gepid prisoners of war in the Roman Empire in the Balkans. 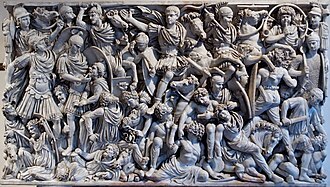 According to a formal speech, delivered in praise of Emperor Maximian on 1 April 291, the Thervingi—a Gothic group—joined "battle with the Vandals and Gepids" around that time. The Gepids' history in the 4th century is unknown, because no written source mentioned them during this period. The silence of the Roman sources suggests that their homeland did not border on the Roman Empire. 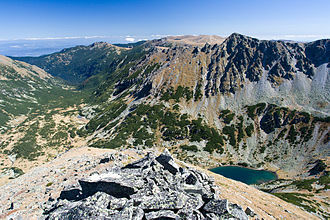 On the basis of Jordanes' reference to the "rugged mountains" of the Gepids' land, historians locate it near the Carpathians, along the upper courses of either the Tisza or the Dniester rivers, in the late 3rd century. The exact date of the Gepids' settlement in the Carpathian Basin cannot exactly be determined. Archaeologist István Bóna says they were present in the northeastern region already in the 260s. According to Coriolan H. Opreanu, they seem to have arrived around 300. Archaeologists Eszter Istvánovits and Valéria Kulcsár write that no archaeological evidence substantiates the Gepids' presence before around 350. Graves from the 4th century which yielded swords, lances and shields with iron boss were unearthed in cemeteries between the rivers Tisza and Körös (in present-day north-eastern Hungary and north-western Romania). Many scholars (including Kurdt Horedt, István Bóna and Coriolan H. Opreanu) attribute those graves to Gepid warriors. Graves of women from the same cemeteries produced artefacts—including bronze and silver clasps, bone combs, and fibulae—which are similar to objects found in the cemeteries of the nearby "Sântana de Mureș-Chernyakhov culture". István Bóna writes that the spread of these cemeteries shows that the Gepids subjugated the Germanic Victohali, who had previously inhabited the same region, before expanding towards the Mureș River in the middle of the 4th century. A large group of diverse peoples from the region of the Middle Danube crossed the river Rhine and invaded the Roman Empire in 405 or 406. 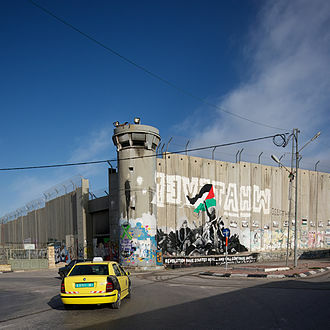 Although most contemporaneous sources only listed the Vandals, Alans and Sueves among the invaders, according to St. Jerome, who lived in Bethlehem around that time, Gepids also participated in the invasion. According to a scholarly theory, the westward migration of the Huns forced the tribes to flee from the Carpathian Basin and seek refuge in the Roman Empire. Jordanes writes that Thorismund, King of the Ostrogoths, who was subjected to the Huns, "won a great victory over" the Gepids, but fell in the battle in about 405. Jordanes' report suggests that the Gepids were forced to accept the overlordship of the Ostrogoths, but the latter were representatives of the emerging Hunnic Empire. 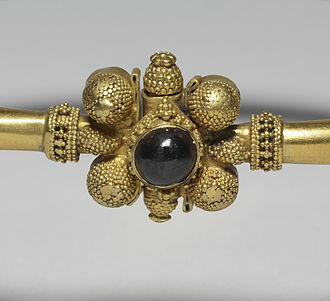 A treasure of gold jewels, which was found at Șimleu Silvaniei, was hidden in the first decades of the 5th century, most probably in connection with the struggles ending with the Gepids' subjection to the Huns, according to István Bóna. The Gepid warriors fought along with the Huns during the next decades. Attila the Hun prized Ardaric, King of the Gepids, and Valamir, King of the Ostrogoths, "above all the other chieftains", who were subjected to the Huns, in the 440s, according to Jordanes. The Gepids' participation in the Huns' campaigns against the Roman Empire brought them much booty, contributing to the development of a rich Gepid aristocracy. Especially, the isolated graves of 5th-century aristocratic women evidence the Gepid leaders' wealth: they wore heavy silver fibulas on their shoulders, bead necklaces, silver bracelets, large gold earrings, and silver clasps on their clothes and belts. A "countless host" under the command of Ardaric formed the right wing of the army of Attila the Hun in the Battle of the Catalaunian Plains in 451. On the eve of the main encounter between allied hordes, the Gepids and Franks met each other, the latter fighting for the Romans and the former for the Huns, and seem to have fought one another to a standstill with 15,000 dead. Attila the Hun died unexpectedly in 453. Conflicts among his sons developed into a civil war, enabling the subject peoples to rise up in rebellion. According to Jordanes, the Gepid king, Ardaric, who "became enraged because so many nations were being treated like slaves of the basest condition", was the first to take up arms against the Huns. The decisive battle was fought at the (unidentified) Nedao River in Pannonia in 454 or 455. In the battle, the united army of Gepids, Rugii, Sarmatians and Suebi routed the Huns and their allies, including the Ostrogoths. After the Battle of Nedao, the Hunnic Empire disintegrated and the Gepids became the dominant power in the eastern regions of the Carpathian Basin. According to Jordanes, the Gepids "by their own might won for themselves the territory of the Huns and ruled as victors over the extent of all Dacia, demanding of the Roman Empire nothing more than peace and an annual gift" after their victory. Emperor Marcian confirmed their status as the allies of the empire and granted them an annual subsidy of 100 pounds of gold. The late-5th-century treasures excavated at Apahida and Someșeni show that the Gepid rulers accumulated great wealth in the second half of the century. The Gepids joined a coalition formed by the Suebi, Scirii, Sarmatians and other peoples formed against the Ostrogoths who had settled in Pannonia. However, the Ostrogoths routed the united forces of their enemies in the Battle of Bolia in 469. After the Ostrogoths left Pannonia in 473, the Gepids captured Sirmium (now Sremska Mitrovica in Serbia), a strategically important town on the road between Italy and Constantinople. 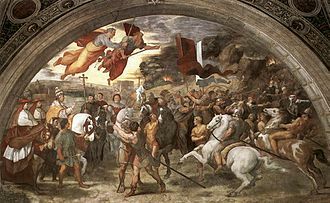 Thraustila, King of the Gepids, tried to hinder the Ostrogoths from crossing the river Vuka during Theoderic the Great's campaign against Italy, but the Ostrogoths routed Thraustila's army. The Gepids also lost Sirmium to the Ostrogoths, according to Walter Pohl. In short, according to Walter Goffart, Thraustila's son, Thrasaric, "regained control of Sirmium but possibly under Ostrogothic underlordship". 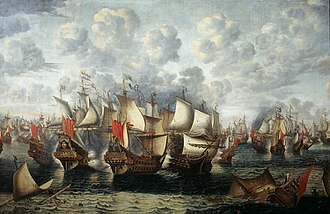 Theoderic the Great dispatched one comes Pitzia to launch a campaign against the Gepids who either tried to capture Sirmium or wanted to get rid of Theoderic's suzerainty in 504. Comes Pitzia expelled the Gepid troops from Sirmium without much resistance. In an attempt to take advantage of the death of Theoderic the Great in 526, the Gepids invaded the region of Sirmium in 528 or 530, but Vitiges defeated them. The Gepids reached the zenith of their power after 537, settling in the rich area around Singidunum (today's Belgrade). For a short time, the city of Sirmium (present-day Sremska Mitrovica) was the center of the Gepid State and the king Cunimund minted golden coins in it. In 546 the Byzantine Empire allied themselves with the Lombards, and in 552 the Gepids suffered a disastrous defeat from Alboin, king of the Lombards, in the Battle of Asfeld, after which Alboin had a drinking cup made from the skull of Cunimund. The Gepids were finally overrun by the Avars in 567 (see Lombard–Gepid War (567)). Many Gepids followed Alboin to Italy in 568 (see Paulus Diaconus), but many remained. In 630, Theophylact Simocatta reported that the Byzantine Army entered the territory of the Avars and attacked a Gepid feast, capturing 30,000 Gepids (they met no Avars). Recent excavation by the Tisza River at Szolnok brought up a Gepid nobleman from an Avar period grave who was also wearing Turkic-Avar pieces next to the traditional Germanic clothes in which he was buried. In the 8th century, Paul the Deacon lists Gepid, Bulgarian, Sarmatian, Pannonian, Suabian and Norican villages in Italy but we do not know if Paul means in his own day or is simply lifting the phrase from an older source. For they all have white bodies and fair hair, and are tall and handsome to look upon. Numerous archaeological sites have been attributed to the Gepids. The first scientific excavations of such an attributed Gepid site were done by István Kovács at Band in 1906 and 1907. Turda: the richest Germanic tomb found in Romania is here. The "Franziska" tomb was found in a Roman site and dated to the 5th century AD. Gepid treasures were also found at Someșeni and Șimleu Silvaniei. ^ Jordanes, Getica, XII.74: Haec Gotia, quam Daciam appellavere maiores, quae nunc ut diximus Gepidia dicitur ("This Gothia, which our ancestors called Dacia, we now call Gepidia."). ^ Jordanes. "Goths" (in Latin and English). Yeat, Theedrich tr. Harbour net. Retrieved 2008-03-03. For undoubtedly they too trace their origin from the stock of the Goths, but because, as I have said, gepanta means something slow and stolid, the name Giped arose as a spontaneous taunt. I do not believe the name itself is very far from wrong, for they are slow of thought and too sluggish for quick movement of their bodies. ^ Recorded in the dative plural, Gefþum; interpreted as "Gifþe or Gifþas". RG Latham, 'On the Gepidae', Transactions of the Philological Society (1857), 1–9. Latham also suggests Gapt, the variant given by Jordanes of Gaut, the eponymous ancestor of the Goths, as the eponymous ancestor of the Gepidae. ^ a b Todd 2003, p. 142. ^ Heather 2010, p. 124. ^ a b c d e Goffart 2009, p. 200. ^ Goffart 2009, pp. 199-200. ^ a b c d e f g h i j k l m n Bóna, István (2001). "From Dacia to Transylvania: The Period of the Great Migrations (271–895); "Forest people": the Goths in Transylvania; The Gepids before Hun Rule". In Köpeczi, Béla; Barta, Gábor; Makkai, László; Mócsy, András; Szász, Zoltán. History of Transylvania. Hungarian Research Institute of Canada (Distributed by Columbia University Press). ISBN 0-88033-479-7. ^ Wolfram 1988, p. 21. ^ a b c Kharalambieva 2010, p. 245. ^ a b Christensen 2002, p. 8. ^ a b Wolfram 1988, p. 26. ^ The Gothic History of Jordanes (xvii:95), p. 78. ^ Heather 2010, pp. 124-125. ^ Wolfram 1988, p. 23. ^ Christensen 2002, p. 318. ^ The Gothic History of Jordanes (xvii:94-95), p. 78. ^ Christensen 2002, p. 338. ^ Kharalambieva 2010, pp. 245–246. ^ a b c d e f Kharalambieva 2010, p. 246. ^ a b c d Wolfram 1988, p. 58. ^ The Gothic History of Jordanes (xvii:98), p. 79. ^ The Gothic History of Jordanes (xvii:99), p. 79. ^ "Historia Augusta: The Life of Claudius (6.2.)". 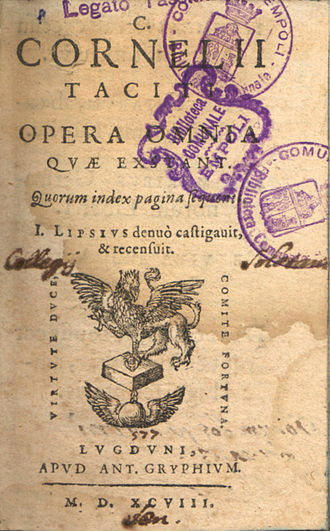 Loeb Classical Library (on LacusCurtius). 11 February 2014. Retrieved 27 May 2015. ^ Southern 2001, p. 129. ^ Wolfram 1988, pp. 57-59. ^ a b c d e f Kharalambieva 2010, p. 247. ^ a b c Opreanu 2005, p. 119. ^ Heather 2010, pp. 173-174, 660. ^ Heather 2010, p. 172. ^ Goffart 2009, p. 81. ^ Heather 2010, p. 178. ^ The Gothic History of Jordanes (xvliii:250), p. 122. ^ Wolfram 1988, p. 255. ^ a b c Kharalambieva 2010, p. 248. ^ a b c d e f Todd 2003, p. 220. ^ The Gothic History of Jordanes (xxxliii:199-200), p. 122. ^ a b c d Bóna 1974, p. 14. ^ a b Bóna, István (2001). 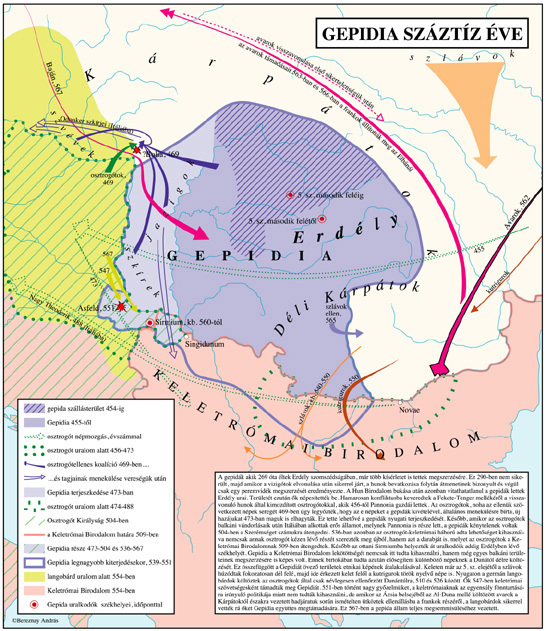 "From Dacia to Transylvania: The Period of the Great Migrations (271–895); The Kingdom of the Gepids; The Gepids during and after the Hun Period". In Köpeczi, Béla; Barta, Gábor; Makkai, László; Mócsy, András; Szász, Zoltán. History of Transylvania. Hungarian Research Institute of Canada (Distributed by Columbia University Press). ISBN 0-88033-479-7. ^ The Gothic History of Jordanes (xxxliii:199), p. 122. ^ a b c Heather 2010, p. 207. ^ The Gothic History of Jordanes (l:260), p. 125. ^ a b Kharalambieva 2010, p. 249. ^ Wolfram 1988, p. 258. ^ Wolfram 1988, pp. 258-259. ^ The Gothic History of Jordanes (l:264), p. 126. ^ a b c Goffart 2009, p. 201. ^ a b c d Bóna 1974, p. 15. ^ Wolfram 1988, pp. 264-265. ^ Wolfram 1988, p. 280. ^ a b Kharalambieva 2010, p. 251. ^ a b c Goffart 2009, p. 202. ^ Wolfram 1988, p. 321. ^ Todd 2003, p. 221. ^ Leif Inge Ree Petersen, Siege Warfare and Military Organization in the Successor States (400-800 AD): Byzantium, the West and Islam, BRILL, 2013, p. 179. ^ Dobos, Alpár (2011). "The Reihengräberfelder in Transylvania after 100 Years of Archaeological Research". Acta Archaeologica. Carpathica. 46: 171–206, pages 175–176. Genethliacus of Maximian Augustus by an Anonymous Orator (291) (Translation and Notes by Rodgers) (1994). In: In Praise of Later Roman Emperors: The Panegyrici Latini (Introduction, Translation, and Historical Commentary with the Latin Text of R. A. B. Mynors by C. E. V. Nixon and Barbara Saylor Rodgers) (1994); University of California Press; ISBN 0-520-08326-1. The Gothic History of Jordanes (in English Version with an Introduction and a Commentary by Charles Christopher Mierow, Ph.D., Instructor in Classics in Princeton University) (2006). Evolution Publishing. ISBN 1-889758-77-9. Bóna, István (1974). A középkor hajnala: A gepidák és a langobardok a Kárpát-medencében [The Dawn of the Dark Ages: the Gepids and the Lombards in the Carpathian Basin] (in Hungarian). Corvina Kiadó. ISBN 963-13-0491-4. Christensen, Arne Søby (2002). Cassiodorus, Jordanes and the History of the Goths: Studies in a Migration Myth. Museum Tusculanum Press. ISBN 87-7289-7104. Goffart, Walter (2009). 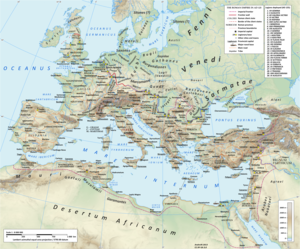 Barbarian Tides: The Migration Age and the Later Roman Empire. University of Pennsylvania Press. ISBN 978-0-8122-3939-3. Kharalambieva,, Anna (2010). "Gepids in the Balkans: A Survey of the Archaeological Evidence". In Curta, Florin. Neglected Barbarians. Studies in the early Middle Ages, volume 32 (second ed.). Turnhout, Belgium: Brepols. pp. 245–262. ISBN 978-2-503-53125-0. Opreanu, Coriolan Horațiu (2005). "The North-Danube Regions from the Roman Province of Dacia to the Emergence of the Romanian Language (2nd–8th Centuries AD)". In Pop, Ioan-Aurel; Bolovan, Ioan. History of Romania: Compendium. Romanian Cultural Institute (Center for Transylvanian Studies). pp. 59–132. ISBN 978-973-7784-12-4. Sarantis, Alexander (2009). "War and Diplomacy in Pannonia and the Northwest Balkans during the Reign of Justinian: The Gepid Threat and Imperial Responses". Dumbarton Oaks Papers. 63. Southern, Patricia (2001). The Early Germans. Routledge. ISBN 0-415-23944-3. Todd, Malcolm (2003). The Early Germans. Blackwell Publishing Ltd. ISBN 0-631-16397-2. Wolfram, Herwig (1988). History of the Goths. University of California Press. ISBN 0-520-06983-8. "The Kingdom of the Gepids", in: Lászlo Makkai and András Mócsy, editors, 2001. History of Transylvania, II: István Bóna, "From Dacia to Erdöelve: Transylvania in the period of the Great Migrations (271-896)"
Wikimedia Commons has media related to Gepids. The Dniester River, or Dnister River is a river in Eastern Europe. It runs first through Ukraine and through Moldova, finally discharging into the Black Sea on Ukrainian territory again, the name Dniester derives from Sarmatian dānu nazdya the close river. The Dnieper, of Sarmatian origin, derives from the opposite meaning, according to V. Abaev Dniester would be a blend of Scythian dānu river and Thracian Ister, the previous name of the river, literally Dān-Ister. The Ancient Greek name of Dniester, Tyras, is from Scythian tūra, the names of the Don and Danube are from the same Proto Indo-European word *dānu - river. In Russian, it is known as Днестр, dnestr, in Yiddish, Nester נעסטער, in Turkish and during antiquity, it was called Tyras in Latin and Danastris in Greek. Classical authors have referred to it as Danaster. These early forms, without -i- but with -a-, contradict Abaevs hypothesis, edward Gibbon refers to the river both as the Niester and Dniester in his History of the Decline and Fall of the Roman Empire. The Dniester rises in Ukraine, near the city of Drohobych, close to the border with Poland, and flows toward the Black Sea. 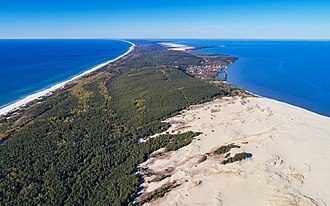 Its course marks part of the border of Ukraine and Moldova, after which it flows through Moldova for 398 kilometres and it forms an additional part of the Moldova-Ukraine border, flows through Ukraine to the Black Sea, where its estuary forms the Dniester Liman. Along the lower half of the Dniester, the bank is high and hilly while the eastern one is low. The river represents the de facto end of the Eurasian Steppe and its most important tributaries are Răut and Bîc. During the Neolithic, the Dniester River was the centre of one of the most advanced civilizations on earth at the time, the Cucuteni-Trypillian culture flourished in this area from roughly 5300 to 2600 BC, leaving behind thousands of archeological sites. Their settlements had up to 15,000 inhabitants, making them among the first large farming communities in the world, in antiquity, the river was considered one of the principal rivers of European Sarmatia, and it was mentioned by many Classical geographers and historians. The Pannonian Basin or Carpathian Basin is a large basin in Central Europe. It is a subsystem of the Alps-Himalaya system. Most of the consists of the Great Hungarian Plain and the Little Hungarian Plain. The Pannonian Basin lies in the part of Central Europe. It forms a discrete unit set in the European landscape, surrounded by imposing geographic boundaries - the Carpathian Mountains, the Alps, the Dinarides. 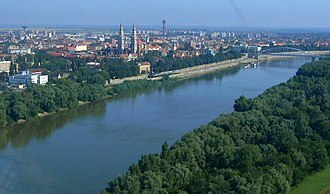 The Rivers Danube and Tisza divide the basin roughly in half and it extends roughly between Vienna in the northwest, Zagreb in the southwest, Belgrade in the southeast and Satu Mare in the northeast. The name Pannonian comes from Pannonia, a province of the Roman Empire, in English, the terms Pannonian Basin and Carpathian Basin are used synonymously. The name Pannonian is taken from that of Pannonia, a province of the Roman Empire, the historical province overlapped but was not coterminous with the geographical plain or basin. Pannonia Inferior covered much of the half of the basin. 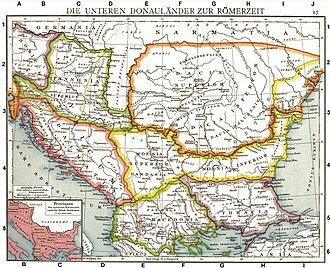 Pannonia Superior included the western fringe of the basin as well as part of the Eastern Alps, the southern fringe of the basin was in Dalmatia and Moesia. The eastern half of the basin was not conquered by the Romans, the parts north of the Danube were not in the empire, they were considered part of Germania, inhabited by the Quadi. The term Pannonian Plain refers to the parts of the Pannonian Basin as well as those of some adjoining regions like Lower Austria, Bosnia. The lands adjoining the plain proper are called peri-Pannonian. 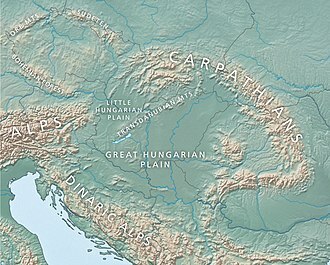 In Hungarian geographical literature various subdivisions of the Carpathian Mountains are considered parts of the Carpathian Basin on the basis of traditional geopolitical divisions, julius Pokorny derived the name Pannonia from Illyrian, from the Proto-Indo-European root *pen-, water, wet. For its early settlers, the plain offered few sources of metals or stone, thus when archaeologists come upon objects of obsidian or chert, copper or gold, they have almost unparalleled opportunities to interpret ancient pathways of trade. The Pannonian plain is divided into two parts along the Transdanubian Mountains, the northwestern part is called Western Pannonian plain and the southeastern part Eastern Pannonian plain. The Huns were a nomadic people who lived in Eastern Europe, the Caucasus, and Central Asia between the 1st century AD and the 7th century AD. In 91 AD, the Huns were said to be living near the Caspian Sea, by 370, the Huns had established a vast, if short-lived, dominion in Europe. In the 18th century, the French scholar Joseph de Guignes became the first to propose a link between the Huns and the Xiongnu people, who were neighbours of China in the 3rd century BC. Since Guignes time, considerable effort has been devoted to investigating such a connection. However, there is no consensus on a direct connection between the dominant element of the Xiongnu and that of the Huns. Numerous other ethnic groups were included under Attilas rule, including very many speakers of Gothic and their main military technique was mounted archery. The Huns may have stimulated the Great Migration, a factor in the collapse of the Western Roman Empire. They formed an empire under Attila the Hun, who died in 453. Variants of the Hun name are recorded in the Caucasus until the early 8th century, the Huns were a confederation of warrior bands, ready to integrate other groups to increase their military power, in the Eurasian Steppe in the 4th to 6th centuries AD. Most aspects of their ethnogenesis are uncertain, walter Pohl explicitly states, All we can say safely is that the name Huns, in late antiquity, described prestigious ruling groups of steppe warriors. Jerome associated them with the Scythians in a letter, written four years after the Huns invaded the eastern provinces in 395. The equation of the Huns with the Scythians, together with a fear of the coming of the Antichrist in the late 4th century. This demonization of the Huns is reflected in Jordaness Getica, written in the 6th century, otto J. Maenchen-Helfen was the first to challenge the traditional approach, based primarily on the study of written sources, and to emphasize the importance of archaeological research. Thereafter the identification of the Xiongnu as the Huns ancestors became controversial among some, the similarity of their ethnonyms is one of the most important links between the two peoples. A Sogdian merchant described the invasion of northern China by the Xwn people in a letter, Étienne de la Vaissière asserts both documents prove that Huna or Xwn were the exact transcriptions of the Chinese Xiongnu name. The Tisza or Tisa is one of the main rivers of Central Europe. Once, it was called the most Hungarian river because it flowed entirely within the Kingdom of Hungary, today, it crosses several national borders. The Tisza begins near Rakhiv in Ukraine, at the confluence of the White Tisa, from there, the Tisza flows west, roughly following Ukraines borders with Romania and finally Serbia. It traverses Hungary from north to south, a few kilometers south of the Hungarian city of Szeged, it enters Serbia. Finally, it joins the Danube near the village of Novi Slankamen in Vojvodina, the Tisza drains an area of about 156,087 km2 and has a length of 965 km —the largest catchment and greatest length of any of the Danubes tributaries. Its mean annual discharge is 792 m3/s and it contributes about 13% of the Danubes total runoff. Attila the Hun is said to have been buried under a section of the river Tisza. The river was known as the Tisia in antiquity, other ancient names for it included Tissus and Pathissus and it may be referred to as the Theiss in older English references, after the German name for the river, Theiß. It is known as the Tibisco in Italian, and in older French references it is referred to as the Tibisque. Modern names for the Tisza in the languages of the countries it flows through include, Tisa, Ukrainian, Тиса, Tisa, Tisza, Serbian, Тиса, the length of the Tisza in Hungary used to be 1419 km. 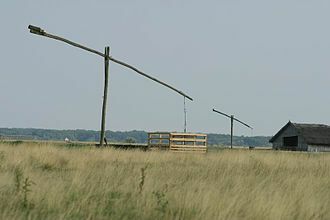 It flowed through the Great Hungarian Plain, which is one of the largest flat areas in central Europe. Since plains can cause a river to flow very slowly, the Tisza used to follow a path with curves and turns. After several small-scale attempts, István Széchenyi organised the regulation of the Tisza which started on August 27,1846, and substantially ended in 1880. The new length of the river in Hungary was 966 km, in the 1970s, the building of the Tisza Dam at Kisköre started with the purpose of helping to control floods as well as storing water for drought seasons. However, the resulting Lake Tisza became one of the most popular tourist destinations in Hungary since it had similar features to Lake Balaton at drastically cheaper prices and was not crowded, the Tisza is navigable over much of its course. 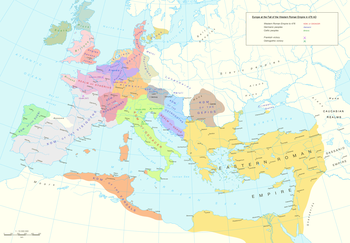 Roman Dacia was a province of the Roman Empire from 106 to 274–275 AD. Its territory consisted of eastern and south-eastern Transylvania, the Banat and it was from the very beginning organized as an imperial province and remained so throughout the Roman occupation. Historians estimates of the population of Roman Dacia range from 650,000 to 1,200,000, the conquest of Dacia was completed by Emperor Trajan after two major campaigns against Decebalus Dacian kingdom. The Romans did not occupy the entirety of the old Dacian kingdom, as the part of Moldavia, together with Maramureș. In 119, the Roman province was divided two departments, Dacia Superior and Dacia Inferior. In 124, Dacia Superior was divided into two provinces, Dacia Apulensis and Dacia Porolissensis, the Roman authorities undertook a massive and organized colonization of Dacia. New mines were opened and ore extraction intensified, while agriculture, stock breeding, Dacia began to supply grain not only to the military personnel stationed in the province but to the rest of the Balkan area. It became a province, with about 10 cities known,8 of which held the highest rank of colonia. All the cities developed from old military camps, Ulpia Traiana Sarmizegetusa, the seat of the imperial procurator for all the three subdivisions was the financial and legislative center of the province. Apulum, where the governor of the three subdivisions had his headquarters, was not simply the greatest city within the province. There were military and political threats from the beginning of Roman Dacias existence, Free Dacians who bordered the province were the first adversary, after allying themselves with the Sarmatians, hammered the province during the reign of Marcus Aurelius. Finding it increasingly difficult to retain Dacia, the emperors were forced to abandon the province by the 270s, making it the first of Romes long-term possessions to be abandoned. Dacia was devastated by the Germanic tribes together with the Carpi in 248–250, by the Carpi and Goths in 258 and 263, ancient sources implied that Dacia was virtually lost during the reign of Gallienus, but they report that it was Aurelian who relinquished Dacia Traiana. Sirmium was a city in the Roman province of Pannonia. In 294 AD, Sirmium was proclaimed one of four capitals of the Roman Empire and it was the capital of the Praetorian prefecture of Illyricum and of Pannonia Secunda. Sirmium was located on the Sava river, on the site of modern Sremska Mitrovica in northern Serbia, ¨The site is protected as an Archaeological Site of Exceptional Importance. The modern region of Syrmia was named after the city, Sirmium had 100,000 inhabitants and was one of the biggest cities of its time. 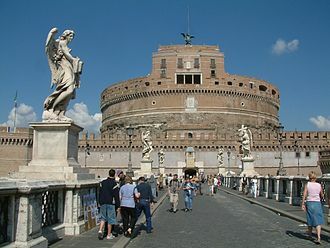 Colin McEvedy, put the population at only 7,000, Ammianus Marcellinus called it the glorious mother of cities. Remains of Sirmium stand on the site of the modern-day Sremska Mitrovica,55 km west of Belgrade and 145 km away from Kostolac, archaeologists have found traces of organized human life on the site of Sirmium dating from 5,000 BC. The city was mentioned in the 4th century BC and was originally inhabited by the Illyrians. The Triballi king Syrmus was considered the founder of Sirmium, but the roots are different. The name Sirmium by itself means flow, flowing water, with the Celtic tribe of Scordisci as allies, the Roman proconsul Marcus Vinicius took Sirmium in around 14 BC. 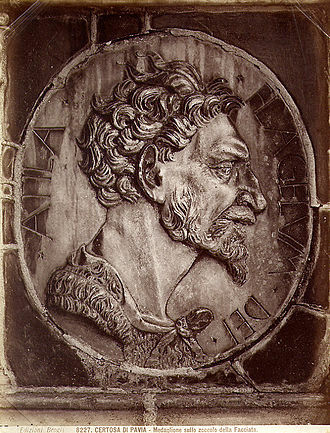 In the 1st century AD, Sirmium gained the status of a Roman colony, the Roman emperors Trajan, Marcus Aurelius, and Claudius II prepared war expeditions in Sirmium. In 103 Pannonia was split into two provinces, Pannonia Superior and Pannonia Inferior, and Sirmium became the city of the latter. In 296 Diocletian reorganized Pannonia into four provinces, Pannonia Prima, Pannonia Valeria, Pannonia Savia and Pannonia Secunda and he joined them with Noricum and Dalmatia to establish the Diocese of Pannonia, with Sirmium as its capital also. In 293, with the establishment of the Tetrarchy, the Roman Empire was split into four parts, Sirmium emerged as one of the four capital cities, the eastern part of Illyricum remained a separate prefecture under the East Roman Empire with its new capital in Thessalonica. From the 4th century, the city was an important Christian center, five church councils, the Councils of Sirmium, took place in Sirmium. Probus, was Roman Emperor from 276 to 282. During his reign, the Rhine and Danube frontier was strengthened after successful wars against several Germanic tribes such as the Goths, Longiones, Franks and Vandals. 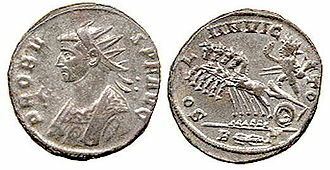 The Agri Decumates and much of the Limes Germanicus in Germania Superior were officially abandoned during his reign, with the Romans withdrawing to the Rhine, Probus was born in 232 in Sirmium, Pannonia Inferior, the son of Dalmatius. Probus entered the army around 250 upon reaching adulthood, appointed as a military tribune by the emperor Valerian, he distinguished himself under the emperors Aurelian and Tacitus. He was appointed governor of the East by Tacitus, whose death in 276 prompted Probus soldiers to proclaim him emperor, the half-brother of Tacitus, was proclaimed successor by his soldiers, but he was killed after an indecisive campaign. Probus travelled west, defeating the Goths along the lower Danube in 277 and his position as emperor was ratified by the Senate around this time. In 278, Probus campaigned successfully in Gaul against the Alamanni and Longiones, his generals defeated the Franks and these operations were directed to clearing Gaul of Germanic invaders, allowing Probus to adopt the titles of Gothicus Maximus and Germanicus Maximus. Of a greater and more lasting significance, Probus began the strategy of settling the Germanic tribes in the provinces of the empire. In 279–280, Probus was, according to Zosimus, in Raetia and Lycia, in the same years, Probus generals defeated the Blemmyes in Egypt. Probus ordered the reconstruction of bridges and canals along the Nile, in 280–281, Probus put down three usurpers, Julius Saturninus and Bonosus. The extent of these revolts is not clear, but there are clues that they were not just local problems, in 281, the emperor was in Rome, where he celebrated his triumph. Probus was eager to start his campaign, delayed by the revolts in the west. He left Rome in 282, travelling first towards Sirmium, his birth city, different accounts of Probuss death exist. A scale model of Sirmium in the Visitors Center in Sremska Mitrovica. 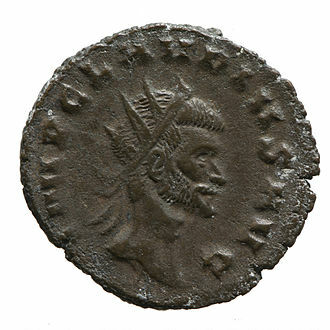 Antoninianus of Probus minted in 280. Depicts the solar divinity Sol Invictus riding a quadriga. Probus issued many different coins during his six years of rule. Sculpted head of Probus from Brescia in northern Italy. Hydrography of the Pannonian basin before the river and lake regulations in the 19th century. The Tisza joins the Danube. 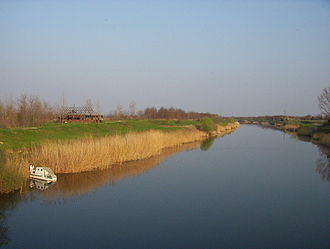 Dnister's riverhead in Staryi Sambir (western Ukraine). The Dniester at the Moldavian fortress of Tighina. The Dniester in Khotyn (western Ukraine). Another Moldavian fortress and an Orthodox church seen on foreground. Coins of the Avars 6th–7th centuries CE, imitating Ravenna mint types of Heraclius. Gold Avar bowl, found in modern Albania. The Carta Marina from 1539 by Olaus Magnus.